Watch These Kids Fail At Math In Spectacular Fashion On Jeopardy! This month, Jeopardy! hosted this year’s Kids Week, bringing in some of the best and brightest youths from around the country to participate on the show. 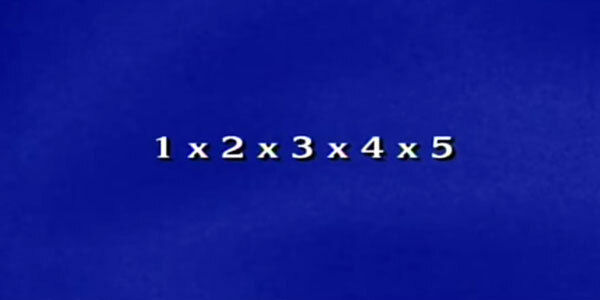 Unfortunately, when given the category “Non-Common Core Math,” the kids on the episode failed in spectacular fashion. Check it out, below. If we’re being honest, the kid rang the buzzer before he started doing the math and totally cornered himself when it took him to long to get to the answer. Additionally, it’s not as if Jeopardy! never goofs up when choosing categories on the show. But since the two other contestants were also unable to produce the answers quickly enough for the buzzer, the category could be taken as a shot at Common Core standards. Jeopardy doesn’t usually deign to be political, but occasionally the show does create categories that cause a stir, as happened recently when the show put out the “What Women Want” category. It’s tough to see kids fail at something they care about, but even though Tyler ends up $400 dollars in the red at the end of the category, it’s nice to see he takes the missed opportunity in stride. He may not know much about non-Common Core math, but he certainly made up for it later, winning the episode.